Seeing Salman Khan beat up a dozen goons at a time, one may feel that he is invincible. However, even superstars like him can suffer bouts of ill health. The star has been suffering from acute pain in his jaw area for the past three months. In fact, the dabangg Khan is scheduled to fly out to the United States of America tomorrow, for further diagnosis and treatment. A week back, reports of Khan's ill health had surfaced in the media. However, his family had refused it claiming the star was fit and fine. But now, his health seems to have deteriorated. A source close to the actor revealed, "Salman had this problem about seven years back. He used to get spasms in his face. But the pain would go away. In fact, it vanished completely after a year or two. It suddenly came back about three months back. This time, it's more painful. he couldn't have neglected it further." 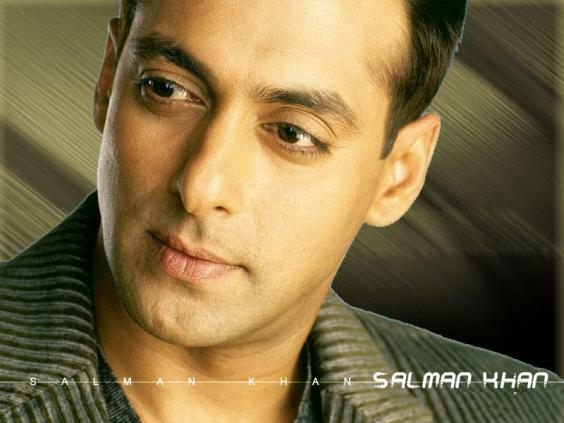 Speaking about Salman's condition, the source explained, "Salman is in extreme pain. Every time he eats something extremely hot or cold, the pain intensifies. His jaw region hurts a lot." Last week, the actor was rushed to Lilavati hospital in Bandra for a medical opinion. "His pain was too acute. Salman, who is normally a very tough guy, was almost screaming. The doctors at Lilavati suggested that he visits Saifee hospital in Charni Road. At Saifee, he was advised to undergo angiography." Salman is suspected to be suffering from trigeminal neuralgia, a condition often described as 'the most terrible pain known to man'. When contacted, Dr Rahul Seth did not deny the possibility of Salman suffering from the condition. Dr Seth simply said, "No comments". Bound by the Hippocratic oath, the doctor couldn't divulge anything about his patient to the media. When contacted, Salman's brother Sohail said, "Trigeminal neuralgia bahut bada shabd hai. I don't know what you're saying. It's my brother's health. All I can say is that yes, he is going to the US on August 27 for a second opinion, diagnosis and treatment for his nerve problem." The actor whose film Bodyguard is ready to hit the theatres this Eid, will for the first time be absent for the release. In fact, this is the first time Salman will miss out on the famous Eid and Ganapati celebrations at his residence Galaxy Apartments. "Salman completed the planned promotions for Bodyguard yesterday. He did as much as he could. Health is his first priority right now," added the source. The condition usually affects older adults, but it may affect anyone at any age. Trigeminal neuralgia may be part of the normal aging process. Symptoms of trigeminal neuralgia include acute pain while brushing teeth, chewing, eating, drinking and even touching the face.